In our experience in delivering business management software solutions to enterprises with an assembly and manufacturing side to their business, is the difficulty they have keeping on top on of variables like the fluctuations in the cost of materials, stock control and accurately creating a BOM or Bill of Materials. 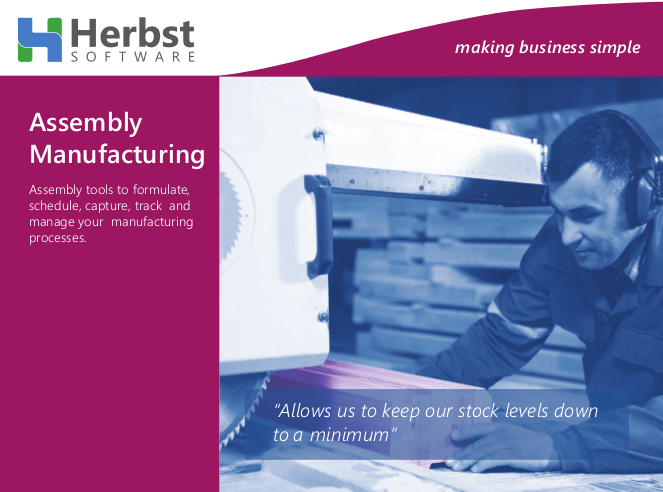 It’s when uncertainties like these arise that having a fully integrated software system in place comes into its own giving you an overview of your whole business with key features specifically created to help you formulate, schedule, capture, track and control your manufacturing processes. Bill of materials with version control. Automatically incorporates cost of materials. At Hybrid Technology Partners, our motto is “technology experts in streamlining business.” This involves getting to know your business by using our expertise to bring a measurable gain to your enterprise. If you are looking to increase sales, cut costs, reduce paperwork, manage your stock, or consolidate your existing business software, we have solutions to match and exceed your expectations. Companies all over the country have used Herbst Insight, our software partner, to grow their business. 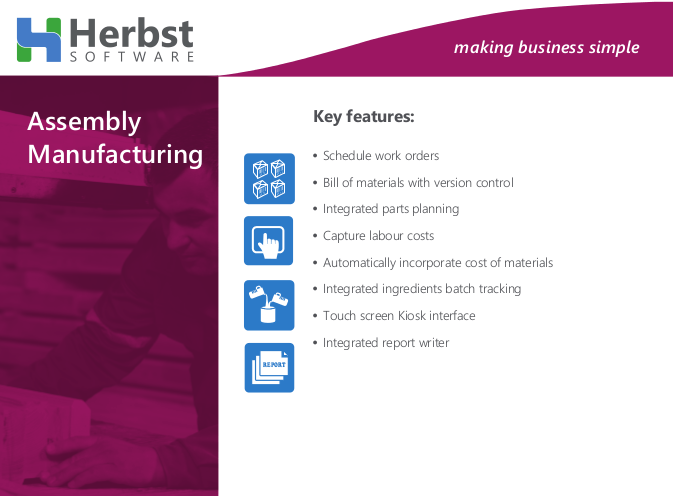 Their assembly tools are just one of the many features of this innovative Business Management Software solution. If you would like to find out more about an integrated software solution that can help your business then contact us here at Hybrid Technology Partners on 061-211444 or 01-5310030 or info@hybridtp.ie.